Like most people, you probably believe the myth that earwax is a sign of poor hygiene. We can’t blame you, those sticky balls of goo in your lobes sure do look nasty. But it turns out, even if it grosses you out, you should just let it stay in there. In fact, ridding your ears of wax causes more harm than good. According to him, proper ear grooming means cleaning the outer parts of the ear and not the inside. 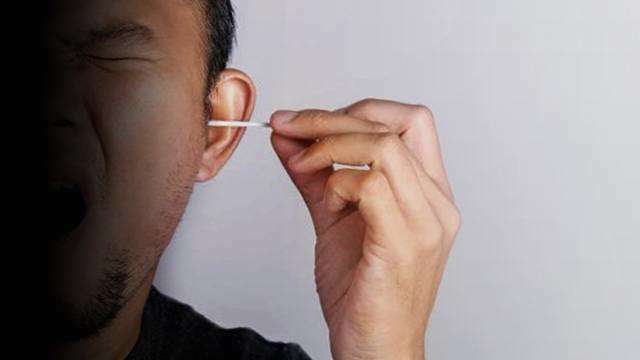 Cotton tips are a no-no, as it pushes the earwax from the ear opening back deep into the ear canal, which can eventually form a big ball of wax that hardens and dries up and can cause severe pain when it touches your ear drum. Another complication from using cotton tips is ear canal infection, which results from the small abrasions from the swab scratching your skin. Furthermore, when you remove your earwax, you also remove the natural protection from insects that love going inside dark places. You can maintain cleanliness of the ear by regular bathing, or by wiping only the outer ears with a clean wet cloth or tissue. But if you feel that there's excess wax and your hearing is becoming difficult, here are some tips on how to safely and effectively clean your ears. 1) Wet a cloth or tissue with water (or use wet wipes). Gently clean the outside of your ear. Pat dry with a towel. 2) Fill an eye or medicine dropper with baby oil. These provide lubrication and help loosen or soften the wax build-up. 3) Tilt your head and squeeze three to four drops of the solution into your ear. 4) Gently press and slowly massage the triangular cartilage on the exterior of your ear in circles. This will ensure that the drops come in contact with all surfaces inside your ear. 5) Return your head to normal position and let the solution sit in your ear for 10 minutes. 6) Refill the dropper with warm water, then slowly squeeze the fluid into your ear. This will flush out any remaining wax. 7) Tilt your head to the opposite side to drain. Repeat on your other ear. That’s it. No need for cotton swabs or ear-candling sessions (which, by the way, is ineffective and harmful). If you still have trouble hearing, the best thing you can do is to visit your doctor. Dr. Philip Fullante is an ENT Head and Neck surgeon. He is a clinical associate professor at the College of Medicine of UP Manila and an attending otolaryngologist at PGH, and a medical specialist at the Pasay City General Hospital. All Your Gross Foot Problems-Solved!